This property is 3 minutes walk from the beach. 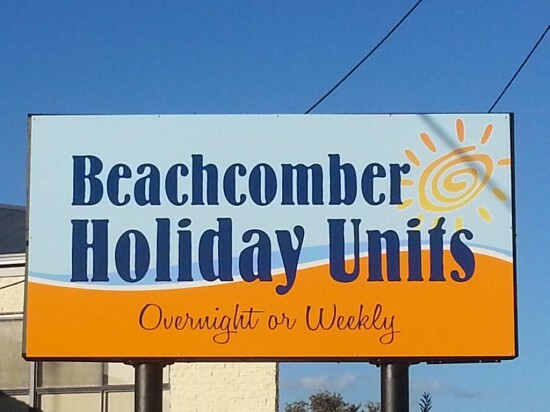 Featuring a grill, Beachcomber Holiday Units is located in Lakes Entrance, just 32.2 km from Bairnsdale. Metung is 12.9 km from the property. Free WiFi is available throughout the property and free private parking is available on site. The accommodation features a flat-screen TV and DVD player. Some units include a seating area and/or patio. There is also a dining area and a kitchen equipped with a microwave, a toaster, and a fridge. A stovetop and electric tea pot are also provided. Every unit is equipped with a private bathroom with a bath or shower. Towels and bed linen are featured. Paynesville is 24.1 km from Beachcomber Holiday Units. This property also has one of the top-rated locations in Lakes Entrance! Guests are happier about it compared to other properties in the area. This property is also rated for the best value in Lakes Entrance! Guests are getting more for their money when compared to other properties in this city.